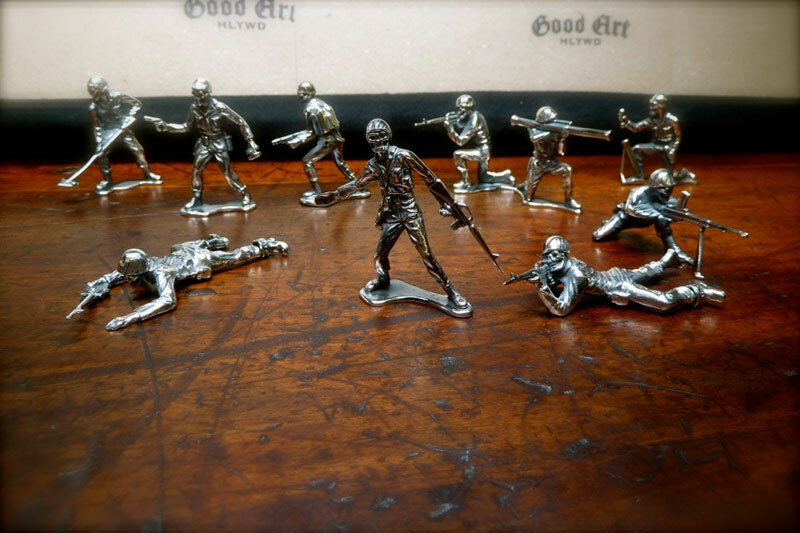 Available over at Good Art HLYWD – $235 each, or $2400 for the 12 pc. set. Probably a neat gift idea for someone that’s hard to buy for. I wish they were bigger though! 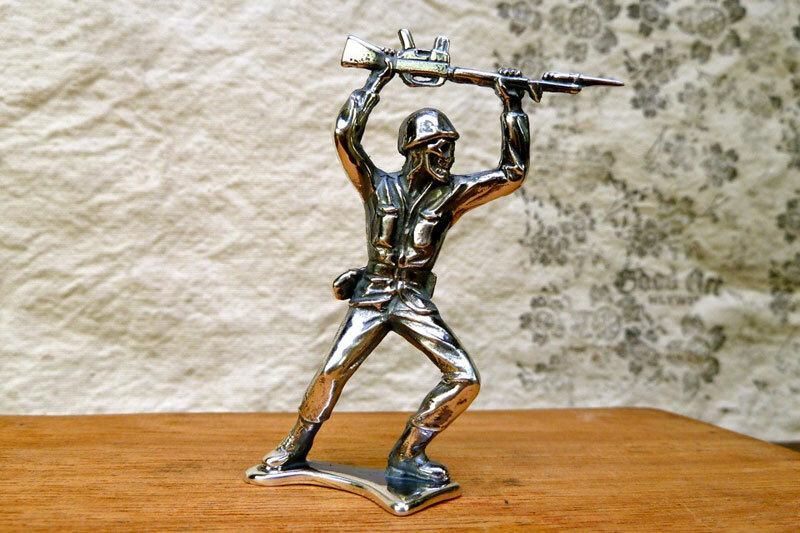 The artist wanted to keep them true to the Vietnam era Marx & Co. green army men toys, so they are that exact size unfortunately. They look like mini-T1000s with skull faces. …is it just me…..or did anyone else ever feel bad for the mine sweeper guy………i mean, they could have at least given him a sidearm……. I used to think he looked a lot like a shuffle board player. I did always feel bad for the minesweeper guy! Ya, the price is a turn off for me too. Make some out of pewter or maybe green anodized 6061, and drop the price to $50 and I’ll bite. 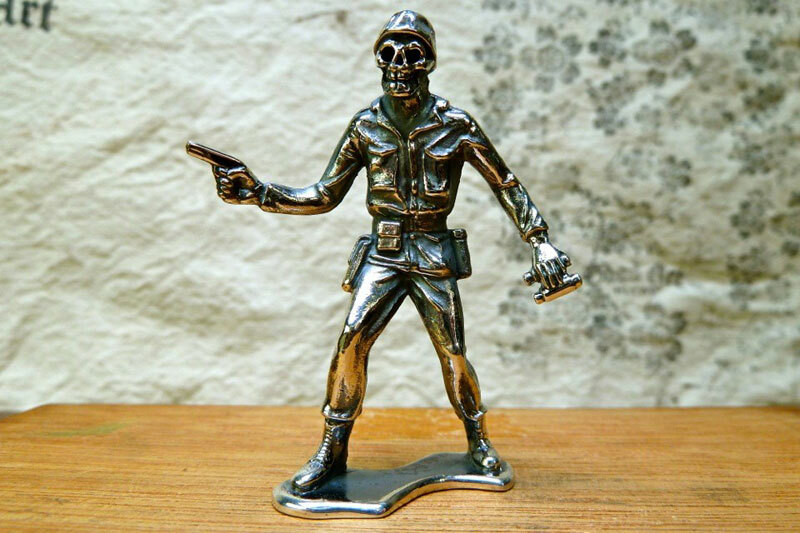 Heck, I’ve got some silver spray paint and some old army men. $10 shipped gets ya a whole damn box of ’em! I always found it strange that the minesweeper itself had a square detector. It just stuck out to me. When i thought metal detector, I thought round.